Welcome to Saranam's Vedic Astrology. Our elite and experienced panel of astrologers are here to offer guidance through their in-depth analysis of your horoscope. You may choose from the variety of reports listed here or request specific reports or clarifications by sending an email to mahesh@saranam.com. 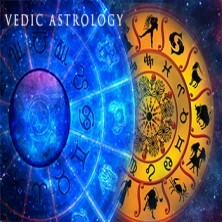 All Vedic Astrology reports are prepared manually by our astrologers and are not software generated. Our reports are precise, direct, and relevant and focus on your life and guidance to resolve issues, avoiding lengthy reports filled with astrological details which essentially are of no use to you. Practical and economically viable remedies are suggested as and when required. All reports are usually delivered through email in PDF format within FIVE business days. In exceptional cases, there might be a delay of a couple of more days, at times when there is an overload of reports to be completed.